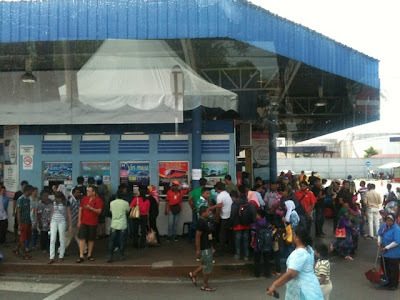 So after alighting from the train in Butterworth, we were deciding if to take the train or bus back to KL. We were informed the next train would be late at night so we checked at the bus terminal instead. It so happened there was a cancellation so we managed to get two tickets for Rm34.10 each. 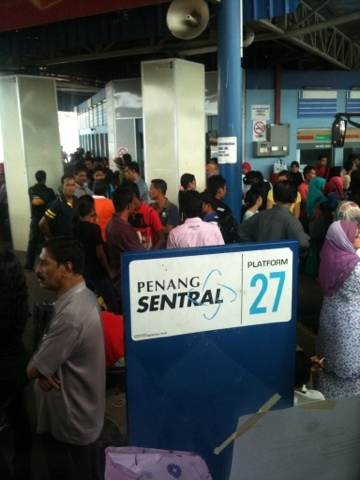 This is our platform No.27 at the Penang Sentral bus station where we boarded the bus. It was amusing watching the passengers waiting outside the bus. The driver had left the door open but no one wanted to board it. Instead they were looking at each other until the first person got on, then everyone else followed. Crowded bus station on a Sunday mid afternoon during Aidilfitri with people rushing to go back to Kuala Lumpur for work. Traffic was a slow crawl as expected when traveling on a Sunday. 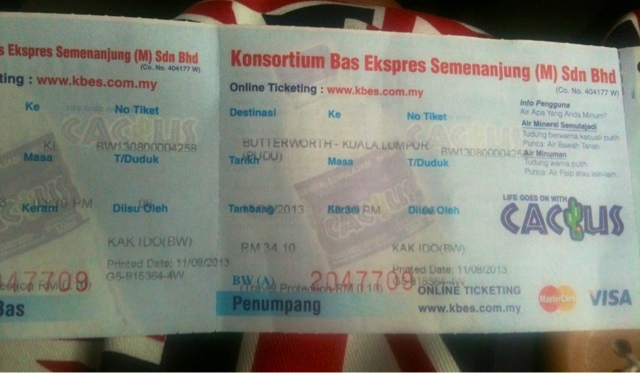 We were lucky to even get bus tickets due to cancellation. We arrived in the city close to midnight . That is an astounding close to 9 hours on the bus on what is normally maybe 4 hours travel! Due to the festive season, everyone was returning to the city to get ready for work the next day. So that ends my travel adventure for now. Till we meet again in future the next time!